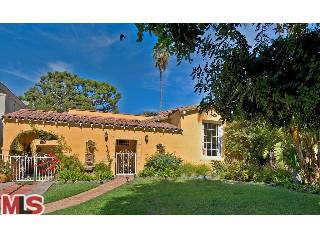 The Spanish house at 10347 Ilona Ave., LA CA 90064 received a price reduction this week of 3.9% or $46,000, down to $1,149,000. This is the first price reduction of the listing term after spending 132 days on the market at $1,195,000. The house is in move-in type condition with a remodeled kitchen and baths. See the virtual tour for additional pictures. The garage has been converted to a bonus room space as well. According to the MLS, the home is a 3 bedroom / 1.75 bath, 1,721 sq ft home on a 6,500 sq ft lot.